Everyone, you all know that my new psychological thriller, Deception, is coming next month. So here’s the paperback book cover for you to have a little look and read of the synopsis. DECEPTION update – the book cover! 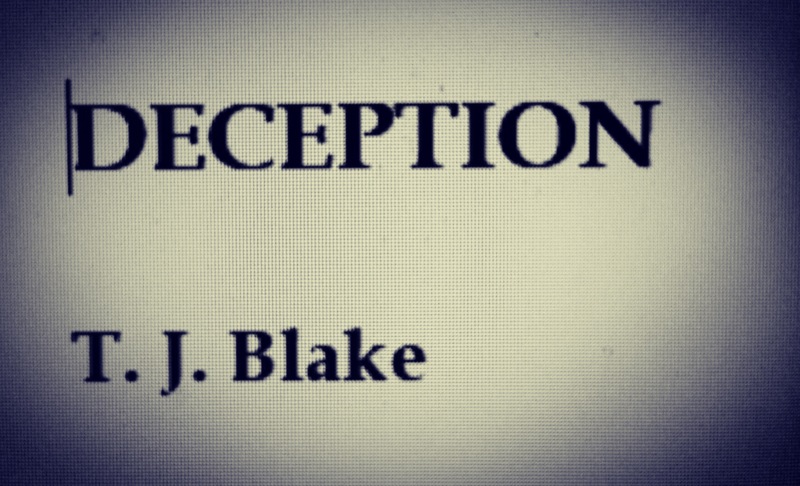 T. J. Blake’s new psychological thriller, DECEPTION, is coming soon. … Actually, I’ll reveal the front cover to you right now – because I’m so kind. We’re nearing the release of my next thriller novel, DECEPTION – a love of lies. We’re so close now that I can smell the brand new 480 page paperback and eBook by me, T. J. Blake. I’ve been working on DECEPTION for one year and seven months now – I’m currently going through another edit of the book, and have been working on the book cover of DECEPTION for the past week. After my photography session last week, I captured some good images for the cover. Now after a week of work with these images, I’ve finally created a cover for DECEPTION. Being the suspenseful author I am, I will only be showing you a tiny section of the cover today. Keep an eye out for the official reveal of DECEPTION’s front cover though – it could be at any time!